They’ve seen the best and worst of each other and stuck together through the triumphs and temptations of their teenage years. This small group of high school girls, led by Leanne Woods and Jessica Drummond, has supported one another from the awkward stages of middle school through high school graduation. Over the last seven years, they have learned much about what God’s Word says about accountability, authenticity and showing one another grace and forgiveness. At the end of the summer, these young women will go to colleges across the country. Today, they share how God has loved and sharpened them through this very special community group. How has community helped you navigate the ups and downs of high school? Brooke: In high school, there’s a lot of temptation and an emphasis on who drinks and who doesn’t. People end up separating into different groups based on that. At one point this year, I didn’t understand where my small group was coming from on the issue of alcohol. I was tempted, and afterward learned that drinking wasn’t something I wanted to do. that doesn’t drink,” rather than desiring to be someone who honors the Lord. Something like that shouldn’t consume my thoughts and worries. How has the group helped you with a specific challenge? out on the table, and that’s when the group really changed. My sophomore year, I started having anxiety attacks that really held me back a lot. I had a fear of telling the girls about it because I didn’t want to be judged. But that’s not what happened. I got calls from them throughout the week and continual encouragement. I learned to really trust them. Lily: When my mom remarried, it was tough for me because she’d been a single mom since I was a little girl. Letting go of that was difficult because there was a lot of change in my life. I talked to the small group about it and began to see I was looking at the whole thing pretty selfishly. I can’t tell you when the turning point happened, but it hasn’t been as hard as I thought it would be. The Lord has taken that over for me, and I’m thankful. When I go off to the University of Arkansas, I’ll know just how important it is to find community. Not having these girls around will be rough, but I know that God has prepared me to go on from here. I want to find a community of other girls who love the Lord and get plugged in with them. How have you and others in the group grown over the years? Kathryn: I’ve been in the small group since 6th grade, and it’s become a second home for me. Serving together has given us some of the coolest shared experiences. Many of us went to Camp Barnabas, a summer camp for kids with special needs, and served together there. Others served in Haiti together. It’s been really cool to see that we can work together, adapt to different situations and give back to others. Cathy: The small group gave me a sense of belonging. In high school, I was striving for perfection in everything. I had low self-esteem and didn’t find my worth in Christ. 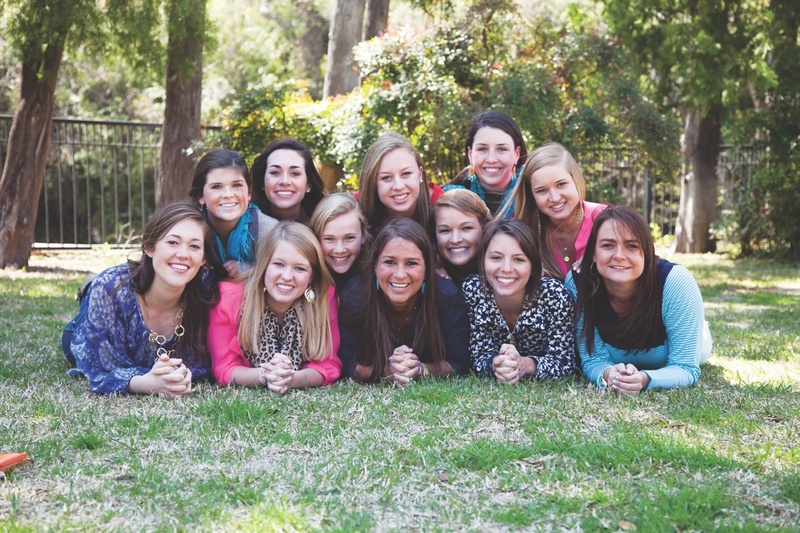 These girls embodied what finding my worth in the Lord might be. They’ve encouraged me to love and care for people in all situations and to stay consistent in my quiet times with the Lord. I learned so much from them about really walking with Christ, rather than just saying it. I learned to be real around others, and the accountability and authenticity became very important to me. How have you grown in your faith over the last several years? Caroline: I’ve learned so much about true accountability. We’ve asked each other hard questions on everything from boyfriends to boundaries to relationships with other people. It’s not always pleasant to have those conversations. But we’ve come to respect each other afterward, and the honesty in the group has helped sharpen everyone’s standards. Are you interested in equipping the next generation of Christ followers by serving in Student Ministries? Contact Anne Marie Mason at AMason@watermark.org to find out more. The post GROWING IN FAITH appeared first on Watermark Community Church Blog.